I know how challenging a DoD move to Hawaii with a family can be, since I did it a few years ago myself. I also regularly help military families moving to Hawaii find homes, so I learn from their experiences. A military move to Hawaii can be mind-boggling. It’s an OCONUS post, but still a state, so it seems to fall into a no-man’s land of rules and planning. Trying to decode which parts of the Joint Travel Regulations apply to Hawaii can be an education in itself. Where are you going to live: on base or off base? Let’s review some frequent questions. Is Army Base Housing Free? Housing in the military depends on several factors including rank, marital status, and number of dependents. Military members who are married can either live in on base housing or receive a basic allowance for housing (BAH) to live off base. If you are single, you live on base until you reach a certain rank. To live on base, you are giving the entirety of your BAH to live in military housing. Most likely, all utilities are covered as well. Can Civilians Enter a Military Base? To enter a military base as a civilian, you will need to have a military member excort you, or you need to visit the visitor center. Make sure you have legal photo ID such as a passport or driver’s license when going on base. Can Army Civilians Live on Base? Another common question is whether or not civilians can live on base. In some cases, if there are not enough military members or their families to occupy all base housing, the housing company may open it up to civilians. This scenario does not happen all that often. If you are a military spouse or dependent, however, you are allowed to live on base. Do You Pay Utilities When Living on Military Base? Living on base, your utilities are typically covered. Unless you go over the average energy usage for your housing, you shouldn’t have to pay anything. If you do go over the allotted energy usage, you will have to pay the amount you went over. As long as you stay under this limit, you can save a lot of money on utilities compared to off base housing. Can You Get BAH if You Live On Base? Every military service member is given a basic allowance for housing, which they can choose to use for on base housing or towards off base housing. Keep in mind that off base housing, depending on your location, will vary and is generally more expensive than living on base. If you just can’t bear to be in a car for more than 10 minutes, military housing on base is for you. Nowhere on Oahu will be as short a commute as on post. If you’ve lived in a military base before, you’ll find that the rules for living on a base in Hawaii are very similar. Commissary, BX, gas station, school, post office, parade field, flagpoles, and neat rows of buildings where no one walks on the grass, let alone parks a car on it. “Reville” in the morning and “Taps” in the evening. I get it. With the exception of the little beach on Hickam, at any post on Oahu you may as well be at Ft. Sill. 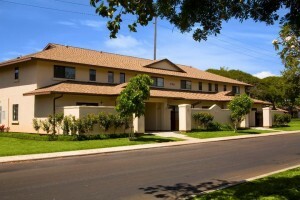 The style of army base housing you’ll find in Schofield Barracks will feel familiar also. Most of army housing was built of similar quality to the last post you came from – no bells and whistles, but probably clean and functional. Some housing is newer, a result of the BRAC money, and some is older and due for rehab. There are plenty of websites where you can check out the army base housing – such as the Island Palm site, the base websites, or the Facebook group “Moving House for the Military Spouse,” which has user photos of military base housing worldwide. Living on a military base also offers the familiar social scene…and you know what I mean. Everyone’s in the same boat, speaks the same language, has kids that are skilled at making new friends, and have never met a doorbell or a fence in their life. If you want to jump into a ready-made community, it’s available. No commitments. At the end of the day, living on a military base is just like paying rent. 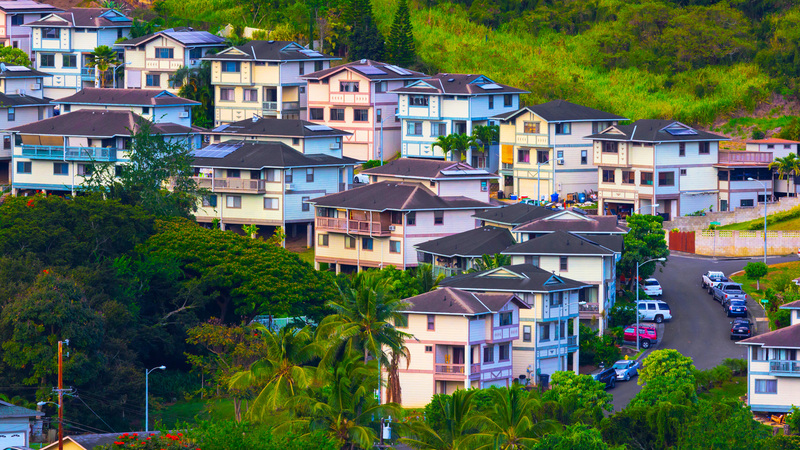 You’ll give up your BAH to a landlord – Island Palm, Hickam Communities, or Forest City. You’ll often pay your share of utilities, you’ll call someone to fix things that break, and you’ll de-personalize and paint the walls back to white for your move-out inspection. You’ll leave in three years and it’ll be like you were never here. It’s nice to get away from work once in a while (or often). In Hawaii, that’s particularly easy to do. Drive off base and head to a beach, or off on a quick hike, or into town for umbrella drinks at a resort. Heading home can be very relaxing if you live away from work. Pass by waterfalls on the way from Hickam to Kaneohe. Exit the tunnels of the Ko’olau Mountains facing a spectacular view of Kaneohe Bay. The office you left behind may as well be on another planet. Get away in a way you never really do when you live on a military base. You’re most definitely welcome here. People moving to Oahu often wonder if they’ll fit in or feel welcome if they live out “in town.” Oahu is absolutely a melting pot of cultures and languages, which is often more a source of comedy than tension. And Hawaii has a history of imperialism and capitalism that has left some hard feelings. However, the military community and the defense industry are an integral part of this island’s culture, lifestyle, and economy, and have overwhelming community support. You can’t go anywhere on Oahu without seeing military stickers on cars, service members in uniform, or being offered a military discount. So, yes, you’re welcome here. Endless options. Let’s face it, a lot of military families are not coming to Hawaii by choice. And while I understand Ft. Bliss summers or Ft. Drum winters may be more attractive options (??? ), Hawaii will be what you make of it. So, you may as well try it! 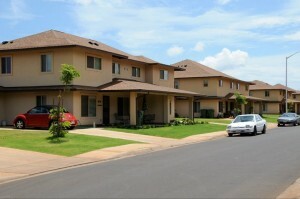 When you decide to live in military housing off base, you will feel like you live in Hawaii. Maybe you’ll be able to afford to live within walking distance of the beach, or you’ll be able to look out at the ocean from your lanai, or you’ll have a great hiking trail or golf course nearby, or meet a neighbor and trade your avocados for their papaya, or find a great sushi spot right outside your condo. There are so many military housing options if you’re open to them. Off base you’ll have the option of renting or buying a home. There are many factors to weigh, but the primary difference is financial. With a VA loan, you can purchase a home putting nearly no money out of pocket, and your BAH is then put toward paying down your mortgage. This means you’re paying yourself instead of paying a landlord, and as the market improves, your home is also gaining in value. You’ll have plenty of opportunities in a military career to live on base, and I absolutely understand the tendency to play it safe. But, I would highly encourage you to get out there and try something new, experience this place fully, and embrace your time in Hawaii. You may even fall in love with it and choose to extend your tour or return for retirement. As a side note, planning ahead for which military housing you’ll be offered seems to be pretty fruitless. In the summer months, housing is in high demand – wait lists are long, but they turn over quickly if you’re willing to be open to various locations and put your name on several waiting lists. Let’s face it, given the options, everyone who is eligible would choose to live on Hickam AFB. Hickam housing is nicer, it’s centrally located to both the city and most duty locations, and it has a beach, so if you’re a lower priority applicant, count on a longer wait. I recently worked with the family of a non-Air Force O-6 who showed up expecting to live on Hickam, but was told it would be a 6-12 month wait. And in the meantime…good luck was all they were offered. Now that you’ve decided to live in military housing off base, the question becomes to rent or to buy? *This blog is not definitive and represents my personal opinions and experiences. To make the blog more readable, I use the words “base” and “post” interchangeably in this article. Where is a good location for a military retiree/gov. employee to live, near MCB Kaneohe? It really depends on your needs and your budget. There are many great places to live around Kailua, Kaneohe, etc. One of my favorites is Ka’a’awa, because it’s less expensive and absolutely beautiful. Let me know what your requirements are and I can help you find a great fit! Hi Alison, thank you for this information, we’re on orders for Schofield to report in March 2015. What is your bare bones opinion on living off post. We have 21 years of experience living in on- post housing, which is modest to say the least (Ft. Polk, Ft. Drum, etc). We’re a family of 5 with a dog and we like space, to include a spare bedroom for guests. So I guess the bottom line is we do not want to be crammed in a sardine can, from what I’ve seen online the on-post resources are not to spacious, nor appealing. Please let me know what you think. I’m an O3E and BAH/COLA is pretty sweet, will have about $4,200 to spend on rent and a buffer of a grand for utilities. Thank you for your help. Totally bare bones, with the situation you described, I’d live off post in Mililani. It’s very do-able on your BAH. You’d get a mainland style house, no sardine can. If you’ve gone through 21 years in the military without owning a home, that is a ton of $$$$ you’ve given away already. There are people I’d advise to live on post, but I don’t think you’re one. I’ll email you some listings today. Let me know when you arrive. I’m happy to Skype or FaceTime tour you through properties before you get here. Thank you for writing this! My husband and I will be moving in May. This is our first PCS experience, we’ve been in Kansas 6+ years. We enjoy not living where we work, so we’ve been planning to live off base. When I tell people this who have lived there, they look at me like I am crazy, especially when I tell them we’d like to buy (we look at it as a mandatory savings account that we can’t pull from). The constant reactions have made me a little timid and trying to look at homes and neighborhoods has been a bit daunting. There are so many! We know every place has it’s troubled areas and expect Oahu to be the same. Are there any areas you would suggest we avoid? Then there’s the vehicle situation. We are able to ship one, but will need two. Would you recommend we pay to ship another or purchase when we arrive? I have so many more questions, but won’t inundate you with them. Thanks for any help! I’ll connect with you by email also, but, in general, your location will mostly depend on where you’re working and how long you’re willing to drive. I’m about to publish a blog with commute times between bases and various towns, so look out for that. When we moved we had one vehicle that was paid in full and a loan on the other. We were trying to decrease expenses, so we sold the one that had a loan and shipped the other (gov’t paid). We paid cash for an inexpensive used car when we arrived. There are plenty of good used cars around, so supply isn’t really an issue. If you can get your second car to LA, it costs about $1100 to ship it, so it’s really a matter of if the money works out and how much you like your car. Can you send me an email as well? Heading that way in June. Right now I’m thinking I’ll live on base but certainly willing to hear more of your thoughts. I just emailed you with some “getting started” instructions. Hey Alison Wisnom. Wife and I will be headed down there in july, and we have looked in millilani, kapolei, and ewa beach. We where woundering if there is some other places close to base and of affordable to scholfield barracks. Any website and info will be great. Thank you very much and greatly apperciate it. Our family is relocating to Hickam this summer as well. I would love any information you can share!!! Wow! Can I get in line lol! I am supposed to be arriving in HI April of next year and would love some advice as well. I have been on the east coast my entire naval career and this will for sure be a change for my family and I. Any help would be appreciated. Thanks so much Alison. Hawaii is more expensive than Chicago in some ways, but less in others. I think you need to trust your instincts, and maybe find an impartial friend you can talk to about your situation. 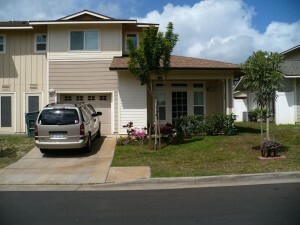 My family and I are due to move to MCBH Kaneohe Bay and housing seems impossible! We have two kids under 3 and would like to find a place that would keep our housing expenses at/under BAH – utilities, etc. We’d also like to stay as close to MCBH as possible, having heard about traffic and all. Kailua seems expensive and very unlikely to stay within budget but friends are telling us that Kaneohe is not a desirable area. Do you have any thoughts on Kaneohe? Or if you think Kailua is doable on an O4 BAH? I do think both Kaneohe and Kailua are possible on O-4 BAH. I can give you the scoop on traffic and neighborhoods, as I live in that area. I’ll email you privately, and it would help if we can talk on the phone also, so I can answer your questions in “real time”. Feel free to call me at 808-447-1486. My husband in is the army and we put in for continuous overseas from korea to hawaii. We have a toddler, hoping to have another soon, and two dogs, 20 and 30 lbs. I hoping to find at least a 3/2 off base with a small yard, hopefully fenced so we can grill and eat outside with the kids and pets. It doesn’t have to be huge but I’m originally from FL and I miss outdoor living. Anything bigger than a dining room will do I guess but bigger than a livingroom would be great! I would love to plant a few things and enjoy the weather! I’m worries about the housing price to find a home instead of a condo in Honolulu. any recommendations on cities nearby that offer more space for our BAH…. E6? We prefer off base, acclimate easy to other cultures, and like to learn all we can about them. Any advice? we have a while…. pcs first week of december. what will the weather be like there? I connected with you by email also, but we have plenty of outdoor living options here. Those are often as important as indoor space! Depending on which base he’s working on, I’d recommend a few different options. Let me know, and I’ll get your property search set right up! December will be fabulous! My fiancé and I are getting married this month and will be heading to Hawaii in July! We would love to find the perfect place for us off post but are having a very hard time understanding what areas are safe and closer to base! If you could recommend some spots to look that would be great! I’m completely overwhelmed with everything that needs to be done being that neither of us have ever moved before especially this far! Any advice you could provide for this new huge step in our life would be great! We are moving to Oahu June 2015. We are looking at Kailua but I am worried about elementary schools. We have a son who will be going into the 5th grade. Any advice on the schools there? Thanks!! Honolulu Magazine just came out with their list of the top public schools and several elementary schools in Kailua were on it. Check that out! I’ll email you directly to get more info on your situation, so I can give better advice. I am single and will be working at Ford Island. Any suggestions??? You have a lot of options working in that location. It really depends on the lifestyle you’re looking for. Do you prefer urban condo setting, a relaxed beach town, a suburban feel? It will depend on budget also. Email me at alison@hawaiilife.com and we can start planning your move. We will be PCSing to Hickman. Waiting on hard orders still but it should be around September 2015, so short notice. I am having our second baby in June, so I would like to get as much done now as possible. I do not mind a smaller space as long as we have some sort of outdoor living space. We have a 2.5 year old and will have a newborn by then. I am okay with traffic (from CA originally) but do not want an hour commute. If we are going to Hawaii, I want to experience the feeling of living there everyday. Our BAH is limited E5, and I do not want to go over at all. Not sure if we need to stick to on base then or the off base military housing? Please direct me towards a neighborhood if possible. Husband commutes on a motorcycle, not sure if that matters. We also have one dog. Thank you! I am currently living in Hawaii and will be moving in August when my lease is up we’re looking for a bigger place. Im pregnant and on the waiting list of Hokulani housing and have heard nothing but bad things about that place. Ive been keeping an eye out for places. It seems so hard to find pet friendly places off post with a decent size. family comes a lot to visit especially with having the baby and want a decent size house. My husband works on Pearl Harbor and i will be stay at home and possibly look at in home daycare. Do you have any suggestions at all on places to look? I’m PCSing to Schofield April 2016 and would like info on off post living. I’ve experienced both on post and off post living and definitely prefer off post. This is my first time in hawaii and would be interested in living in an area that would be pleasant to come home to. I’m a SFC with kids so school is important when deciding where to live. As much info would be greatly appreciated. Also, I’ve heard electricity is very expensive in Hawaii. Is this true? Hi David, With your BAH, currently at $3312/mo. 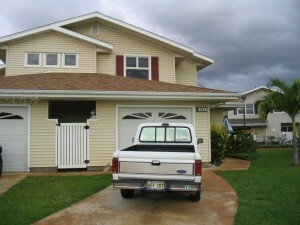 you can definitely purchase a great home off post in Hawaii. If you’re working at Schofield and are concerned about schools, I’d recommend checking out Mililani. It’s a quick commute, and just yesterday I saw Mililani High School listed in U.S. News and World Report as the top high school in the state. Electricity can be expensive in Hawaii depending on what you use and where you’re coming from. We actually pay about the same as we did in Maryland, but we don’t heat or cool our home. If you’re living in a hotter area of the island, expect to pay for cooling, unless you have solar panels, which are quite common here. My family of 7…yes 5 kids are being stationed at K Bay and were wondering what the rental situation is in that area while waiting for housing. (We already own a home and are definitely looking forward to housing this tour.) E7 BAH….is there anything? My husband just retired from the Marine Corps and our family is moving to Hawaii in September. 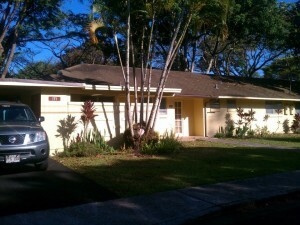 (FAA job in Honolulu) We have the option to live in the “old housing?” on the Northshore. (We have no idea what that means) Is this a good idea considering the location to the airport? And what is the condition of this housing that there is no waiting list? HELP ME PLEASE???? We’ve never been to Hawaii! We will be PCS’ing to Schofield Barracks in Sept 2015. We’ve always lived away from the installations we’ve been stationed on and I have heard good and bad as far as renting in Hawaii. We would be offered a 3 bedroom on post but would prefer an actual garage as opposed to a carport and definitely need a pet friendly rental since we have a dog. What or where would be an optimal place to start looking?? Thank you. How long are they telling you the wait for housing is on MCBH? Are you looking for a longer term furnished or a short term unfurnished rental? For short term, try the vacation rental sites, like our Hawaii Live Vacations, VRBO, etc. For long term, try Craigslist, AHRN, etc. Rentals are tough to plan for here, as most landlords don’t want to rent to you without you seeing the home first, so make sure your temporary lodging is solid and flexible. I’ll email you on this one. Greetings, my family and I are on orders for Hawaii in the July 2016 time frame. You are obviously very knowledgable on the area and I would appreciate any good housing info you can provide. I am a CW2 and we are a family of 5 coming from Campbell. If we could get into contact outside the forum via email that would be great you. You would be a great resource for my wife. Allison, great article for families PCS’ing to Hawaii. My family and I will PCS to Hawaii in the April-May time frame 2016. Looking at OHA for an E-7 with 12 years in, we are looking at $3316. Cola would be about 510 each paycheck. We are a family of 5 and will be at JOINT Base Pearl Harbor-Hickam. What would you prefer? On or Off post? Do they take all you OAH? What is the percentage you pay for utilities now? This will be our third time to PCS but our first time to Hawaii. Any advice is great. Hi Allison, my husband will be moving to Hawaii in December and I will follow him after my daughter graduates high school in June and get her settled in for College. I am thinking we want to live small since it will be just the two of us. We want to try to live off base but I am worried about the cost. My husband is an E8. Suggestions greatly appreciated! Thank you! With just the two of you, and being willing to live small, I think you have a lot of options for life in Hawaii. Where will your husband be working? And what kind of commute is he willing to do? Do you have pets? You could do anything from a high rise condo in the heart of the city, to a townhouse on a marina, or a cottage near the beach, or a resort setting. His 2015 BAH is $3600/mo, which goes a long way for two people! Let me know a bit more about your preferences for a home, and I can make some better suggestions. Hi Alisson I’m pcsing to HI in April 2016, Wheeler to be exact and would like some more information on off post housing. This is my first pcs from Fort Carson. My husband and I will be PCS in May 2016, We are going to Ft. Shafter and are thinking about living off post what would you recommend? we have done both live on post and off post, my husband is E7, our daughter ask us if we could home school if we move there, she is ten years old, what are your thought about the school there? I have been told that they are bad, I don’t know if I should believe then. Thank you for writing this! I wonder what your advice would be for our family…. My husband is an O-5 (Navy) and we are moving to HI in 2 weeks from a remote overseas duty assignment. We are a family of 7 and, from what we can tell, bases housing may be no less than a 6 month wait; not very promising. My husband will be working in Pearl Harbor. What part of the island would you recommend for us? Schools are not an issue as I homeschool, but I do worry about traffic and the cost of utilities if we are off base. Thanks for any advice you may have!!! My husband and I are both active duty (him Army, me Air Force) and will be moving to HI May 2016. We have three toddlers (twin 3 yr olds and a 2 yr old). My husband will be at Schofield and I will most likely be at Hickam. We are leaning to living on base where I’m stationed so that he can drive against rush hour traffic. Would you recommend living on base versus off base? If we live off base, we’d have to live somewhat in between the two installations and then worry about daycare/elementary schools. I’m also quite concerned about temporary housing while awaiting on base housing or even temporary daycare while awaiting on base care. Definitely could use some advice. Thanks! My son is heading to Ft. Shafter in October 2015. Young and single (E2), this is his first assignment. No clue about housing at all. Would you recommend he just live in the barracks or are there other options out there? This blog has been so helpful thank you! Looks like we will be heading out there in December, Im super nervous about the narrow time able and pets involved. If you have any resources to help with that I would greatly appreciate a hand! Also we will def be looking at renting or maybe even buying off base on and E6 salary! My wife (civilian) and I are both nurses who will be working at Tripler AMC. We have 2 dogs (one medium size and one small). We want to find a nice safe area that will accommodate the dogs (house/town home, yard etc.). We have looked some in Ewa Beach. We are thinking off post with an O-2 BAH. Any resources or recommendation for a young newly wed couple would be great. Thanks. Hi Luke, I can definitely help! I’ll send you an email with some questions that’ll give me a better idea of what you need. Just thought I would let you know two photos you have captioned as MCBH is not accurate. 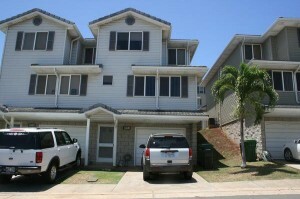 The top photo with the three story home is located on MCBH, however the two story home with fence gate inbetween the units is Pearl Harbor housing. Thank you in advance for taking time out of your day to answer everyones questions! You seem like you give a lot of people a lot of help! My husband, 100 lb dog, and I will be moving to Hawaii the end of December. My husband is going to be recruiting over there. I have been searching for a home/apt/townhouse to rent but it seems almost impossible with a bigger dog. We do not want to live on post and I will be attending college at KCC (by diamond head) do you have any suggestions or advice? Thank you for posting this. I am due to get orders in Pearl City next july. I no nothing about Hawaii and no idea on where to live. My wife and I are not picky and were trying to look for a small place with relatively lower rent than a full blown house. Perhaps just a one bed room apartment. I’d be happy to help you find a great place to live. I’ll email you. We just got orders to Hawaii and the report date is April 10,2016. We know NOTHING about Hawaii. Help!!! Goodmorning! My wife and i got orders to Hawaii and report date is NOV 11th we wanted to move “off post” can you help us find a reasonable place? I’d be happy to help you both out! My email address is alison@hawaiilife.com. Please send me your rank, so I can look at your BAH, the base/post you’re assigned to, and what your housing requirements are (how many bedrooms/bathrooms, pets, etc.) and I can help you much better! We are an AF family of 5 E-7. We are currently stationed in Okinawa Japan and are being reassigned do to EFMP. Is there a waiting list for a four bedroom and are there an pics available to view of base housing in Hickman? We are suppose to arrive at the end of May. I would love if I could get some help. My husband is getting stationed in Hawaii. He graduates from SOI & reports to Hawaii on March 8th. What are the steps we need to take to apply for housing? & how soon could we get in? I am currently 33 weeks pregnant so we are concerned if we will get a place soon enough that I would be able to travel & have the baby there! Or have her here & he would have to miss it 🙁 also about moving furniture. Please help! I’ll send you more details specific to your situation by email. Thanks for reading! thanks for the information. My question is: In order to rent off post do you have to be there in person or for an open house. Most landlords or property managers don’t want to rent to someone who has not seen the property in person, or at least through a trusted representative, just to avoid any differences in expectations. My husband is on the island now and looking to find us a place in the Mililani High School district. He’s Navy, so the Army housing up there is a bit different to navigate for us as we are not as familiar with that area. Our last tour there was 8 years ago. Please reply if you can help us coordinate. I’d be happy to help you find a great place, Susanna. Please send your husband’s contact information to my email address: alison@hawaiilife.com, or call me at 808-447-1486. I have a report date to Wheeler in August looking for a place off post wondering if maybe you can help. I’d be happy to help. I’ll email you! I am a veteran, so this is not a question about active duty military, hope you can help. I am being considered for a job at Tripler Medical Center, relocation is not provided but it didn’t say anything about having the option to live on base. Do you know if there is any help for someone like myself that would make the move from the east coast to HI? I have orders bringing me to Hickam AFB 10AUG16. I am an E-5 in the ARMY on assignment for DPAA. looking for and weighting odds between on and off post living costs. any help would be great! I had gotten this particular headphonestowards my mother of moms time, then she definitely liked information technology! It is actually sweet headphonesand suggesting regarding the card which is goes in container is really sentimental!! As well as the quality of the beads is great! Pcsing to Hawaii at schoolfield on March 2018. I’m married no kids with 2 small breed dogs. I’m looking for the best on post housing need help thanks. Nice content i like it sickly much man! It headset is while spectacular like inside photo. They appeared quickly. I would advise getting a towel more than each and every coating as you press this away w / the steam iron. It doesn’t vapor off alongside merely a steamer. On iron was required. It is very fine, when you you should not trust yourself with the towel and also vapor iron, after that just take things up to a certified. Perfect seem. I do not comment, but I browsed a lot of remarks on this page. I do have a couple of questions for you if you tend not to mind. Is it simply me or do a few of the comments come across like they are left by brain dead visitors? 😛 And, if you are writing at other places, I would like to keep up with you. Could you post a list of the complete urls of all your shared pages like your Facebook page, twitter feed, or linkedin profile?